As students, you may find yourself needing to write a couple of essays for your course requirements. One of these essays might be a narrative essay. You may find that you are ill-equipped to come up with a good narrative essay but you should not worry! If you need narrative writing tips and guidelines, we have it for you! 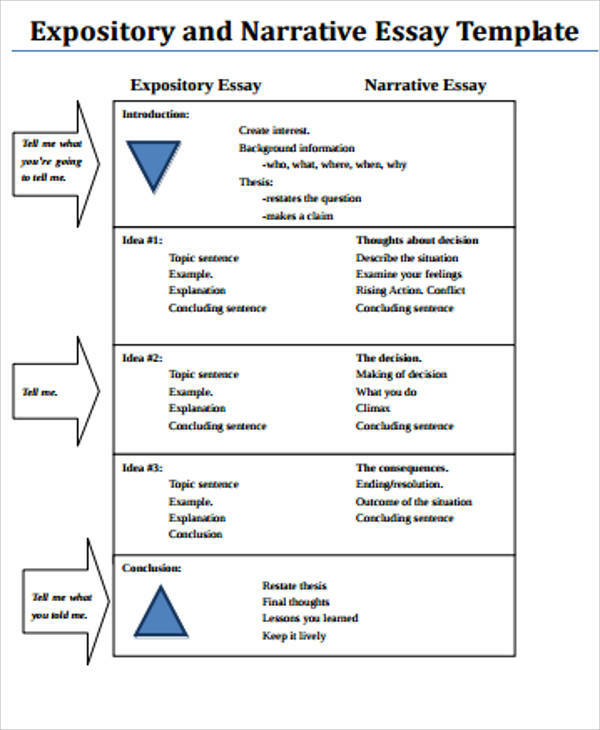 We even have sample narrative essays that you can check out and use as a reference if you want to see how these essays look like or if you need a good rubric where you can base your narrative essay on. You may think it is hard to come up with one and we are not gonna lie, it might be difficult the first time but you will definitely get the hang of writing it with practice. 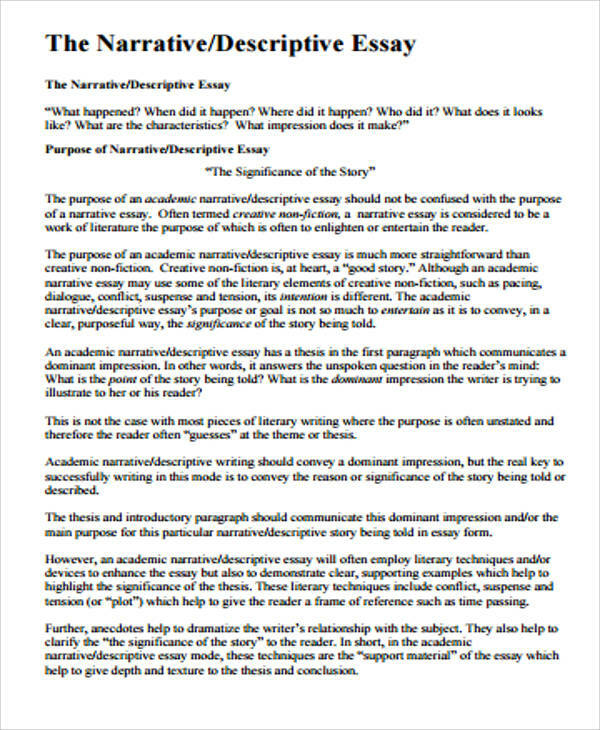 If it’s your first time to be tasked to write a narrative essay, you may find yourself getting confused or baffled about how you should get started, how you should format your essay, or how to come up with the content of your essay. It is okay to feel that way. Even the most experienced writer may encounter these types of struggles from time to time. We would like to help ease this struggle by giving you a quick step-by-step guide on how you can make this essay writing task a whole lot easier. Check out the guideline we have below. Choose a Story. Most of the time, narrative stories are often given as assignments to students. A theme is usually given and students are supposed to write a story that is in line with the theme that was given. With that being said, you want to make sure that you carefully choose your topic. Narrative essays barely involve any resources, so you want to make sure that you choose a topic that you know or you think you can easily write. 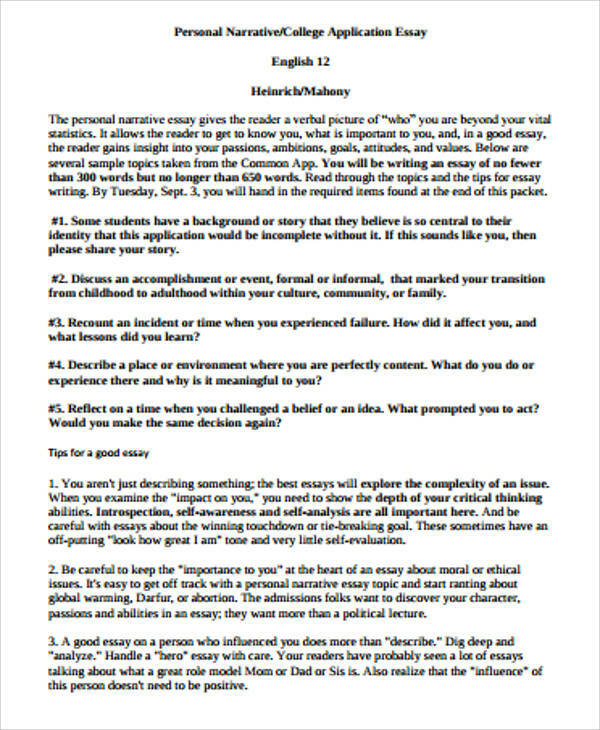 You may also see personal essay examples. Make Your Story Fit the Prompt. The prompt is basically the keyword where your story will be based on. Just like the theme of your story, the prompt will also be assigned by your teacher to you. Whatever the setting of your story might be, make sure that you stick to the prompt. 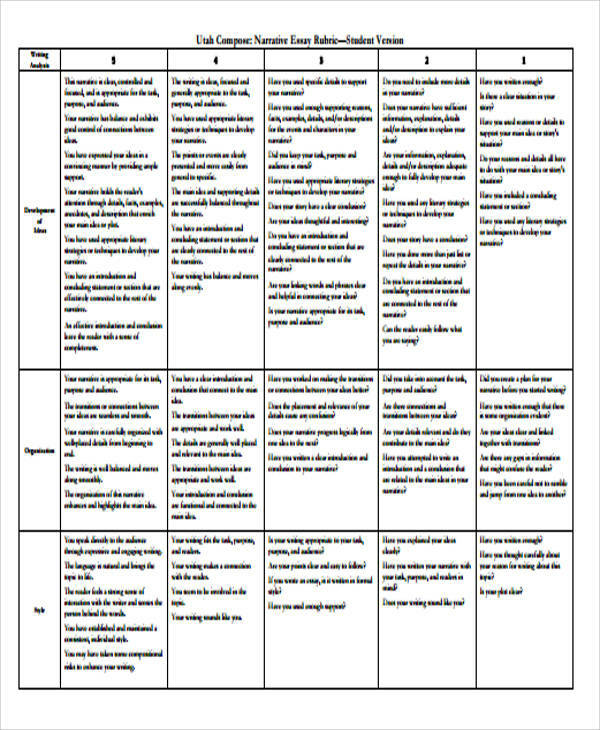 You may also like useful writing templates. Manageable Plot. Make sure that the story you have in mind has a plot that is fairly manageable. Take time to analyze how many characters you can manage and what type of setting will be a good one. Make sure that you also keep your story consistent and cohesive. You may also check out summary writing samples and templates. Make Use of Lively details. The details of your story is what makes your story more colorful and stimulate the imagination of the reader. A good narrative story will have a lot of details that is dynamic and is lively in nature. By doing this, you are sure to catch the attention of your audience and they will be hooked on to your story. The more detailed a story is, the better. You may also see story outline samples. Make an Outline. Before you get started on the draft of your essay, you want to make sure that you come up with an essay outline. Your outline will serve as your guide in writing your story. It will give you a rough draft of what the basic flow of your story will be. It will also be a good way of gauging where you would like to put the high points and the plot twists of your story. The Consistent Point of View. A narrative essay is typically written in the first-person point of view unlike other types of essays that makes use of a third-person point of view. You want to make sure that you are consistent the whole time and you do not switch your point of view in the middle of the story. They are also written in past tense, so make sure that you are also consistent with this. You may also like speech writing samples and templates. Describe the Characters You Have. Let your readers know who your characters are and what is their role in the story. Give interesting details about your characters. Just pick a few essential and unique details about your character and make sure that you incorporate these in your story. In line with describing your characters, you should also describe who the antagonist of your story is. Give Details About the Setting. This talks about where your story takes place. You can make research to have more supporting details regarding the setting of your story should you find that you are unfamiliar with the setting of your story. You may also check out script writing samples. Make Sure that Your Essay Sticks to the Theme. Check whether your story is sticking to the theme assigned or the theme you have chosen. You can make it easier to look for flaws in your story regarding the theme and any other errors if you give your eyes a rest. After writing your essay, take a break from your essay for about a day or two. Read it again after your rest and see if there are any flaws regarding inconsistency in theme. 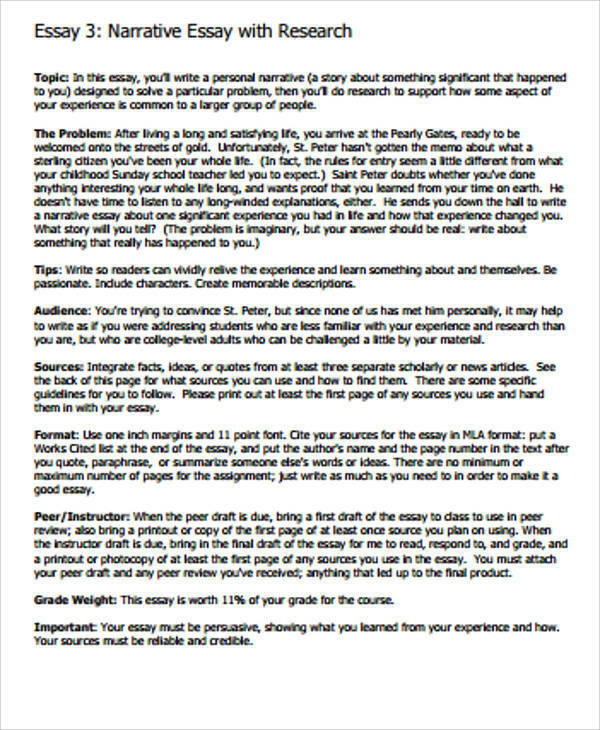 You may also like sample expository essays. Check for Grammatical Errors and Misspellings. You want to make sure that as much as possible, your essay is free from possible errors. Check if You have Scenes and Summaries. A scene is a moment that happened in your story that needs to be described in details while a summary is a narration between the scenes. Check the Dialogues. Make sure that you are familiar with the conventions of how you are supposed to write a narrative essay. Make sure that the dialogues have been written and used correctly in order to properly relay your story to the reader. You may also check out scriptwriting samples and templates. Rewrite Your Essay. The first draft of your essay will not turn out to be perfect and that is okay. That is the reason why it is called a first draft, after all. Revise your essay for clarity and check again for any errors regarding grammar and misspellings. 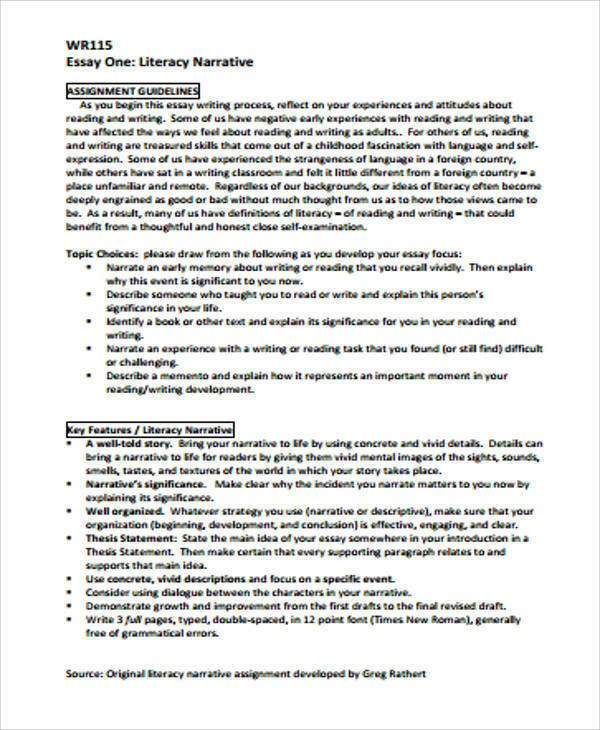 You may also see reflective writing samples and templates. You want to make sure that your narrative essay ends up being well written and ends up being an interesting one to read. How do we do this? Check out the tips that we have. Since you are telling a story, you want to make sure that your essay ends up being clear. You want to make sure that the main idea of your essay is easily captured by the reader. Make sure that ideas are well distributed across the essay. You may also see book writing samples. Just because you are writing a narrative essay does not mean that you should describe every single movement that happens in the story. Gauge whether there is a need to describe certain moments or if there is no need to do so. You may also like biography writing samples and templates. As mentioned earlier, you should only stick to a first-person perspective. This will help to avoid any confusion and it will also help to make your essay a whole lot easier to understand. The more interesting your word choices and wordplay are, the more your readers will be enticed to use their imagination. Make sure you do not sound too canned or too robot-like in your story and stick to the same writing style and the same tone all throughout the essay. You may also check out essay samples in word. It is even recommended that you do not use any. Why is this so? It is because it will be too disruptive if you cite references in between texts. However, if there was a need for you to take some sources, you should definitely cite these references. Stick to your topic and focus on this. Make sure that you have an introduction, a body, and a conclusion to your essay. If you are writing an essay, you want to make sure that you take your time in coming up with the draft, revising, and proofreading. Always remember that writing a good essay will always take time. So, do not worry if it’s taking you long to come up with your essay. You may also see sample tribute speech examples. There you have it! 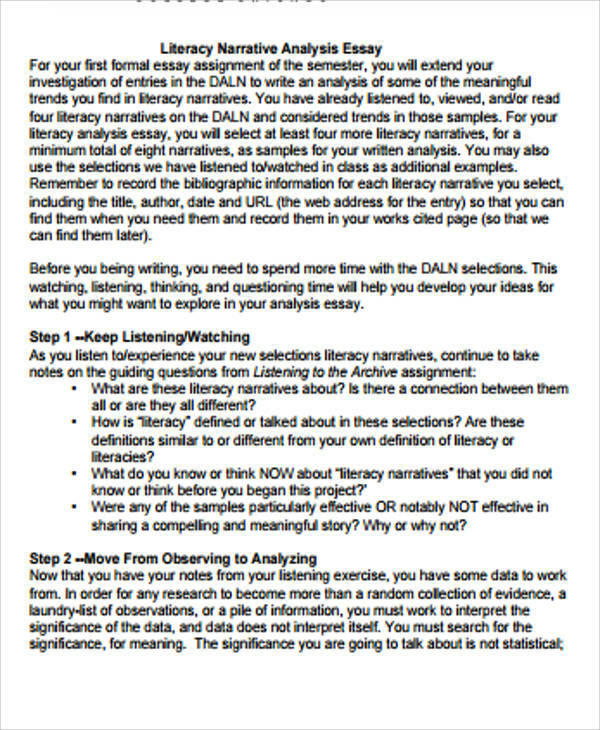 You now know just a little bit more about how you can come up with a good and detailed narrative essay. Whether you are writing this as an academic essay or for a freelancing job, you can apply these tips and guidelines. You can now definitely get a head start on that essay now!